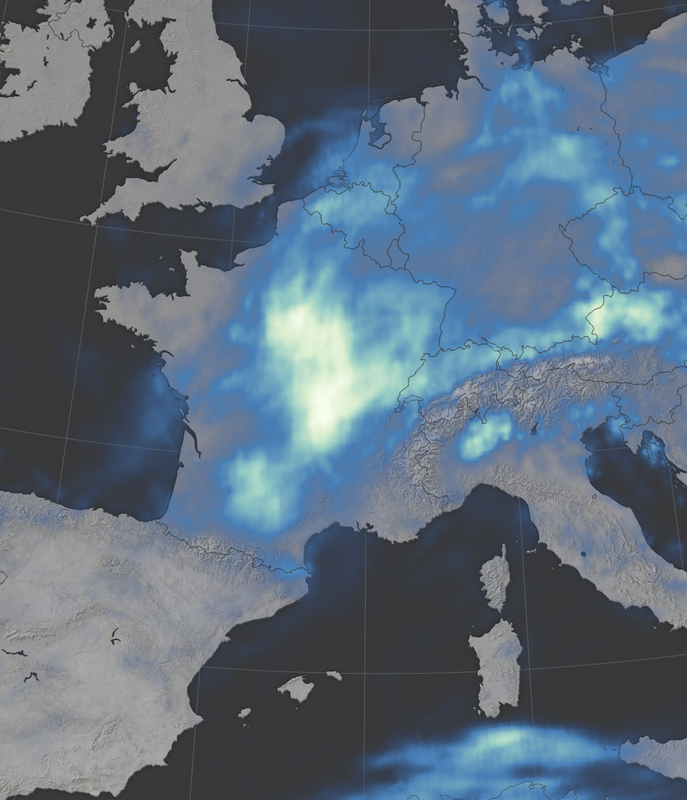 The map above depicts satellite-based measurements of rainfall over western Europe from May 22 to June 6, as compiled by NASA. These rainfall totals are regional, remotely-sensed estimates, and local amounts can be significantly higher when measured from the ground. 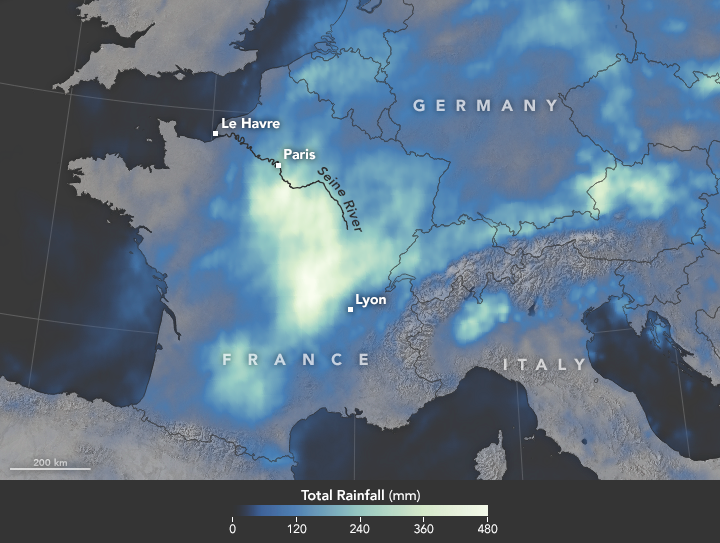 Much of the rain—more than 400 millimeters (16 inches) in some areas—fell in central France within the Seine’s drainage basin. 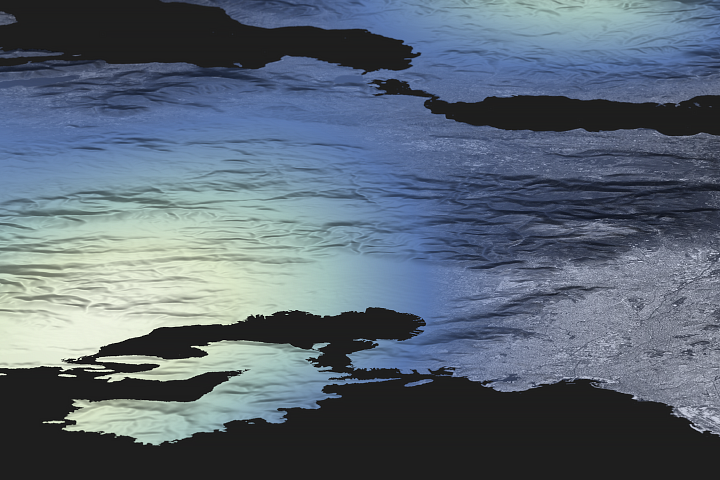 The data come from the Integrated Multi-Satellite Retrievals for GPM (IMERG), a product of the Global Precipitation Measurement mission. 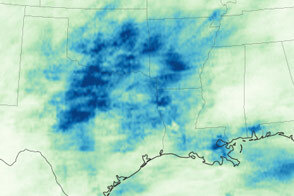 IMERG pulls together precipitation estimates from passive microwave and infrared sensors on several satellites, as well as monthly surface precipitation gauge data, to provide precipitation estimates between 60 degrees North and South latitude. 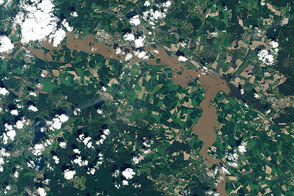 The GPM satellite is the core of a rainfall observatory that includes measurements from NASA, the Japan Aerospace Exploration Agency, and five other national and international partners. 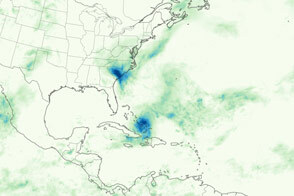 The rains were fueled by a blocking pattern in the jet stream. According to the Weather Channel, an area of low pressure remained nearly stationary for days, sustaining persistent downpours in the region. 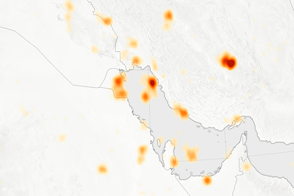 NASA Earth Observatory map by Joshua Stevens, using IMERG data provided courtesy of the Global Precipitation Mission (GPM) Science Team's Precipitation Processing System (PPS). Caption by Adam Voiland. After days of downpours, water levels on the Seine River rose to heights not seen in 34 years. BBC (2016, June 3) France floods: Louvre to close as Seine rises further. Accessed June 7, 2016. The Guardian (2016, June 5) France floods ‘caused one billion euros worth of damage’. Accessed June 7, 2016. The Weather Channel (2016, June 1) Here’s What Caused the Deadly Floods in Germany and France. Accessed June 7, 2016. Reuters (2016, June 3) Paris museums move art works as flood waters rise. Accessed June 7, 2016.